Israeli Defense Minister Avigdor Lieberman said that Israel would not accept any restrictions in Syria. Radio Sputnik discussed the isssue with ​​​Dr Tim Anderson, Australian analyst, Senior Lecturer at the University of Sydney, author of the 'Dirty War on Syria'. Dr Tim Anderson: We also have to be very careful, don’t we, about these claims, aggressive talk. There’s been a lot of aggressive talk from Mr Netanyahu in recent times. But we saw the result of incursions in Syria and that was a very embarrassing, not to say humiliating, setback for the Israelis who thought that they controlled the skies without any competition. And so, it’s given them some pause to think the fact that their F-16 was shot down. Sputnik: What do you think about the increased tensions between Tehran and Tel Aviv? Is it likely that we are going to see more crashes between Israeli and Iranian forces? Dr Tim Anderson: Iran has not made any provocations of that. Iran has been there like Russia defending Syria, trying to get rid of the proxy armies that have been sent in there, in part by Israel. And Israel has been showing signs in recent times of increasing concern that Syria is going to come out of this war, defeat Daesh, defeat the other proxy armies and that Israel will confront a revitalized, if you like, Syria in a military sense with the support of Iran and Hezbollah. It’s very concerned about that because of it had its own ambitions to maintain one, the occupied territory and the Golan Heights, and they’ve already been trying to build a buffer zone there with some of their own proxy armies, a Free Syrian Army group called the Golan Knights that [Israel] been supporting along with the others. So, there’s the possibility of general escalation is there but I think more likely the flashpoint is going to be the possibility of localized escalation around the Golan Heights. Sputnik: What kind of consequences do you think we are going to see after these comments by the defense minister of Israel? Dr Tim Anderson: Well, these are just comments but we should be judging Israel more by what they’ve been doing and they’ve been doing occasional strikes in support of some of the armed groups there. Syria’s been commenting on this for many years now. 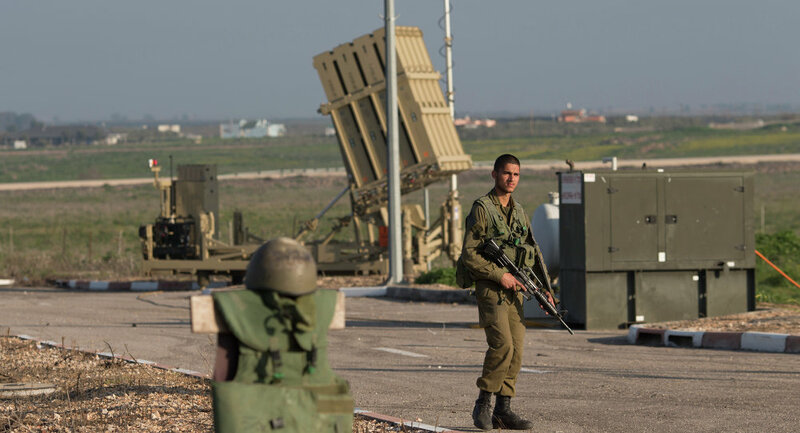 The more direct involvement of Israeli planes is going to be rethought. I think we really should be looking more at their actions rather than what they say because a lot of this psychological warfare in terms of threats and so on doesn’t really show us their vulnerability and their concerns. Really in many respects it’s some form of substitute for their actions when they are talking like this. Sputnik: Tel Aviv’s relations with Moscow are also sort of under question right now. How do you see Russian-Israeli relations playing out? Dr Tim Anderson: Russia has been very keen to try and quarantine, if you like, Israel from this conflict. It’s wanted, you know, sensibly to try and limit the extent of external conflict with the other players in the region. It tried to do that with Turkey and there were some hiccups, let’s say, at the beginning stages but there’s been a consistent attempt to try and maintain a good relationship with Turkey in other means. I think Russia doesn’t want a conflict with Israel but it’s intent on supporting Syria to regain security and to deal with the proxy armies. 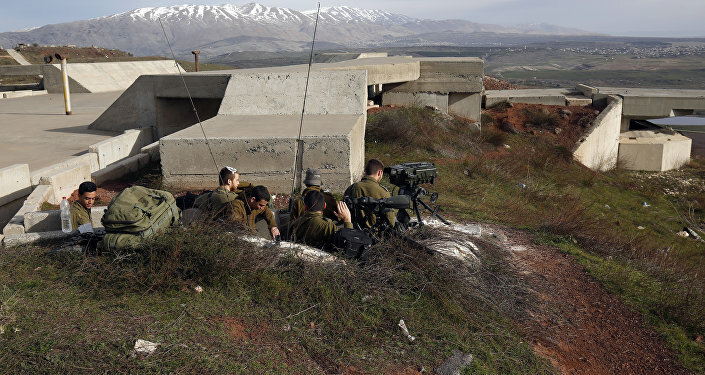 it would rather stay out of a conflict and we know that the leader of Hezbollah has said that if it comes to a conflict over the Golan Heights that they don’t expect any support from Russia in that situation. On the other hand, Russia just hosted a Syrian conference in Sochi which, a part of its declaration was the legal reclamation of the illegally occupied Golan Heights. So, Russia is not opposing Syria in that respect but I think Russia would prefer to stay out of it. Sputnik: There’s also the US which is another player. How does this play out for the US? Dr Tim Anderson: The US, of course, has positioned itself as a guarantor of Israel, but that doesn’t mean to say that they are going to support them in every circumstance and particularly not with the current president who is rather erratic and not very predictable in what he is going to do. In many respects Mr. Netanyahu was running the risk of Mr. Saakashvili in Georgia, if you remember that conflict where the then Georgian president thought that he had the support of the United States and he didn’t. There’ve been a few situations like that historically. That’s the risk that I think the Israeli leadership is running. Sputnik: A lot of critics have actually said that Washington isn’t doing enough to curb Iran’s military ambitions in Syria. What are your thoughts on that? Dr Tim Anderson: Iran is being very clear on what it’s doing in Syria it’s been mobilizing regional militia, it’s been helping defend Syria from the proxy armies and it’s been largely coordinated by Washington and its regional allies the Saudis in particular and Turkey Qatar and Israel. So, Iran has not been really, let’s say, stepping out of line in terms of international law but there’s a rhetoric coming from Washington and the main reason for the purpose on Iran is that simply the most capable implacable opponent of Israel in the region and it’s an independent state and the US has lost control of it and really ever since the Iranian revolution in 1978-79, the US has been concerned that an independent powerbase in the Middle East and the US is not able to control it. So, there’s a long-term strategic concern about Iran in the US but really it’s getting out of their hands so I think we can safely say that Iran is in a stronger position now. Sputnik: Sergey Lavrov said that the US is acting in Syria in a very dangerous unilateral way and there’s a risk of the territory being split up due to the actions of the US. Can you comment on that comment by Lavrov? Dr Tim Anderson: Yes, I think it’s significant that Mr. Lavrov has become more strident if you like in his comments about the motives of the US because there’s been a great patience on the part of Russian diplomacy despite the destructive role of the US in the region, not just Syria. But in Syria one pretext follows another. When a pretext for the military intervention was supposedly to fight Daesh when that’s gone then some other pretext is invented. So, really Russia has identified the US as the principle destabilizing force in Syria and the US has managed to get itself offside with Turkey as well. Turkey has become exasperated with US aspirations. So really the US has become very isolated in the region. It’s got offside its major partner and NATO member Turkey. It might seem confusing because there is indeed significant infighting amongst the partners that the US had harnessed in its attempt to effectively destroy the Syrian state but really what we are seeing is the collapse, if you like, of the attempt to destroy Syria. The views expressed in this article by Dr Tim Anderson are solely those of the analyst and do not necessarily reflect the position of Sputnik.